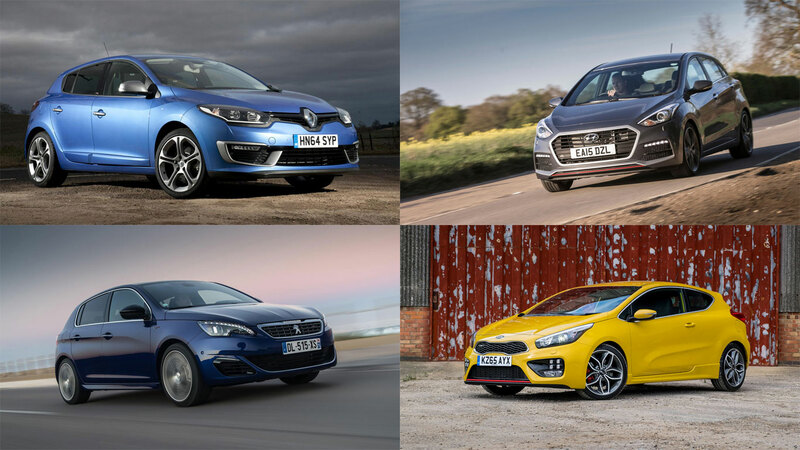 Can the head rule the heart when it comes to choosing a hot hatch? To be a truly great hot hatch, a car must have an ability to set the pulse racing long before an ignition key has been twisted. Anticipation is everything. 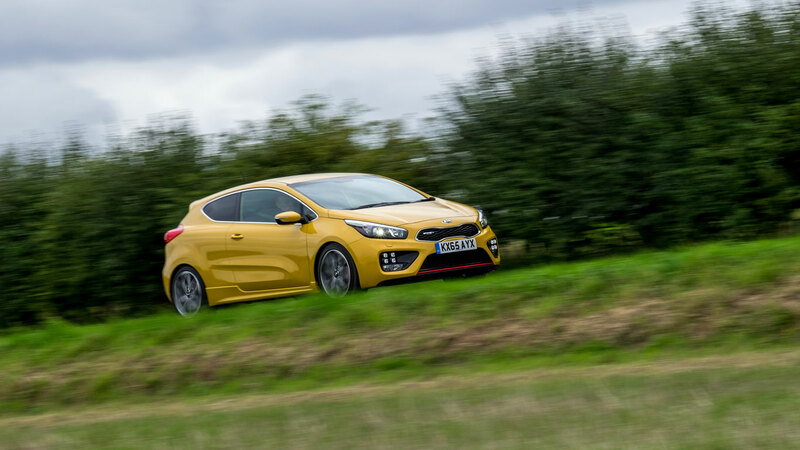 So can the recently refreshed Kia Pro_Cee’d GT – complete with a seven-year warranty – mix it with the hot hatch establishment? Or, after a week behind the wheel, does satisfaction kill the desire? 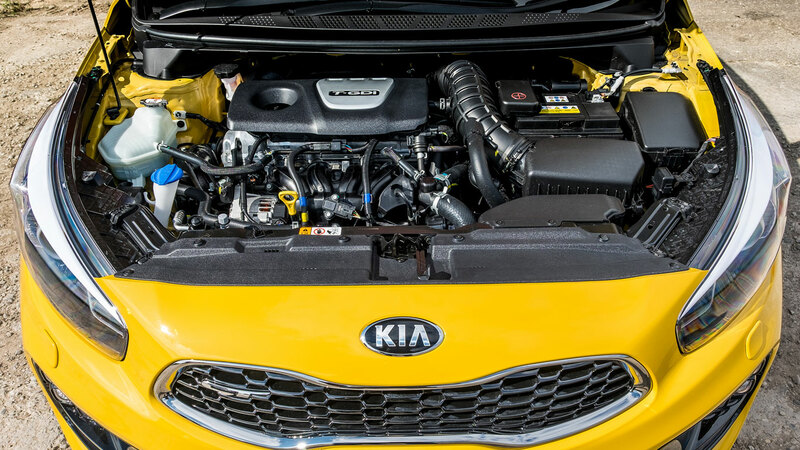 We borrowed a (very) Liquid Yellow Kia to find out. 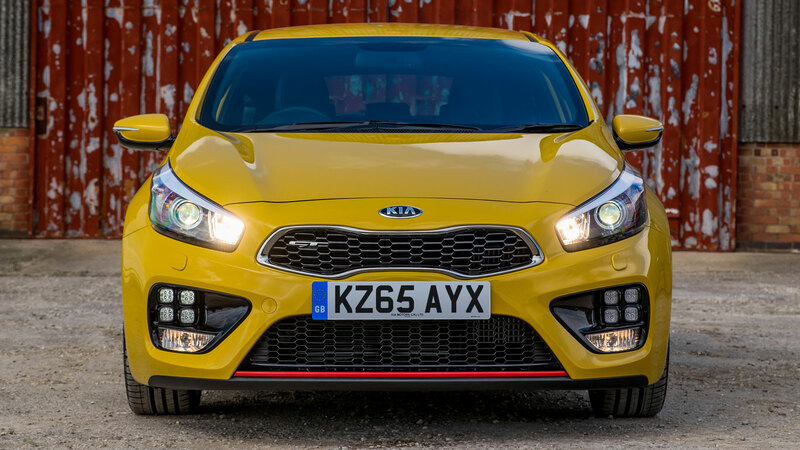 Let’s establish one thing from the outset, the Kia Proceed GT – if you’ll allow us to use the more sensible version of its name – isn’t able to mix it with the big league hot hatches. So put aside any thoughts that it could be a cut-price Volkswagen Golf GTi Ford Focus ST or Renaultsport Megane. The clue is in the name – this is a GT and not a GTi. The little ‘i’ makes all the difference. So think of the Kia Proceed GT as a rival to the Peugeot 308 GT, Hyundai i30 Turbo and Renault Megane GT 220. Which engines does it use? 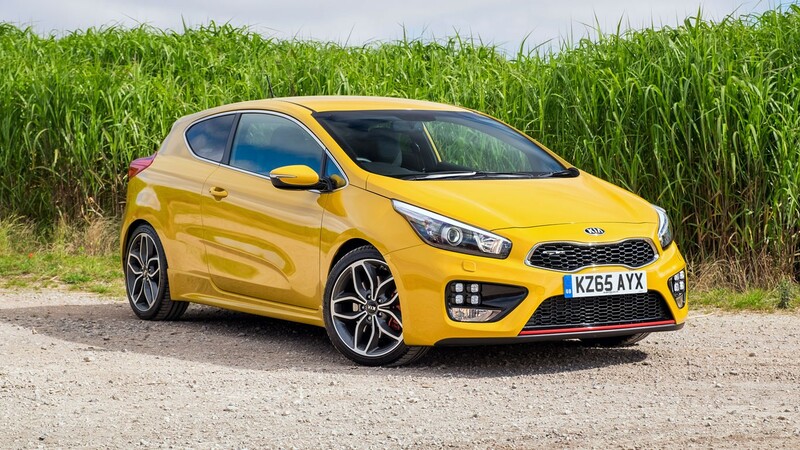 The 1.6-litre T-GDi engine was the first turbocharged petrol unit to be offered by Kia in the UK and it has been reworked for the refreshed Proceed GT. Power remains the same at 204hp, but 195lb ft of torque is now available from 1,500rpm, rather than 1,750rpm in the old model. Press a button on the steering wheel and a ‘more distinctive and exciting’ engine note enters the cabin. At the same time, the analogue speedometer goes digital, complete with torque and turbo gauges. The sound isn’t the worst we’ve heard, but it can get a tad irritating when you’re not on it like Rob Bonnet. Within a few miles of driving the Kia Proceed GT you’ll begin to appreciate just what a great all-rounder it is. It may not hit the high notes of the very best hot hatches, but you can still dance to a very merry tune along your favourite B-road. This is definitely a warm hatch you could live with on a daily basis, as the ride is surprisingly comfortable, even with those 18-inch rims shod in Michelin Sport tyres. The steering is nicely weighted, if lacking in outright feel, and there’s a good level of grip. It even stops well, largely thanks to the new 17-inch front brake discs, up one inch compared with the previous Proceed GT. On paper at least, the claimed 38.2mpg is perfectly acceptable for a petrol-engined warm hatch, but don’t expect to get anything close to that if you use the Proceed GT to its full potential. CO2 emissions of 170g/km put the Kia in VED band H, resulting in a showroom tax of £295 and annual car tax of £205. It’s worth remembering the 1.6-litre turbocharged Peugeot 308 GT offers figures of 50.4mpg and 130g/km, so although the warm Pug is more expensive to buy, it should be cheaper to run. 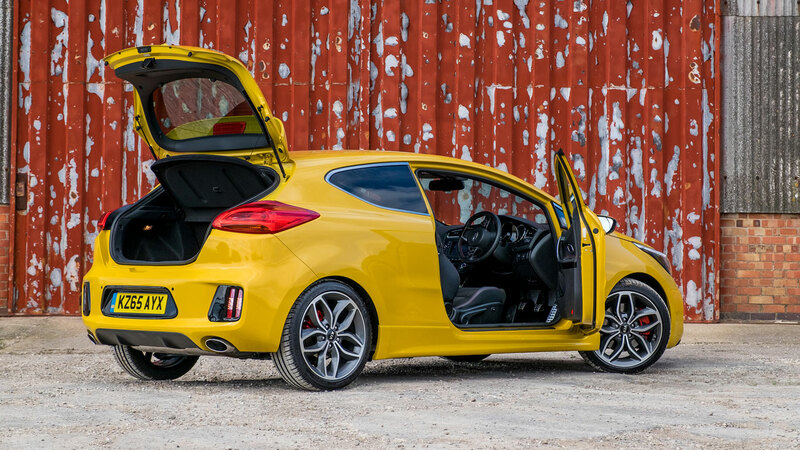 If you want the most practical version, Kia has a ready-made alternative in the shape of the five-door Cee’d GT. That said, access to the rear seats is surprisingly easy, although you’ll need to allow for the wide doors when parking. We found access rather restricted in a tight multi-storey car park. There’s a useful 380 litres of boot space, which swallowed pretty much all the Christmas presents we forgot to order online. Which actually turned out to be rather a lot. You can also fold the 60:40-split rear seats, although at 1,225 litres, the Proceed does give up 93 litres compared with the Cee’d. Up front, there’s plenty of space and storage, including a useful area in front of the gearstick, with enough space to put a charging smartphone next to the well-positioned USB port. The Kia Cee’d was awarded a maximum five-star Euro NCAP rating when it was tested in 2012. The new brakes help to reduce the stopping distance at 62mph from 36.4 metres to 35.2 metres. 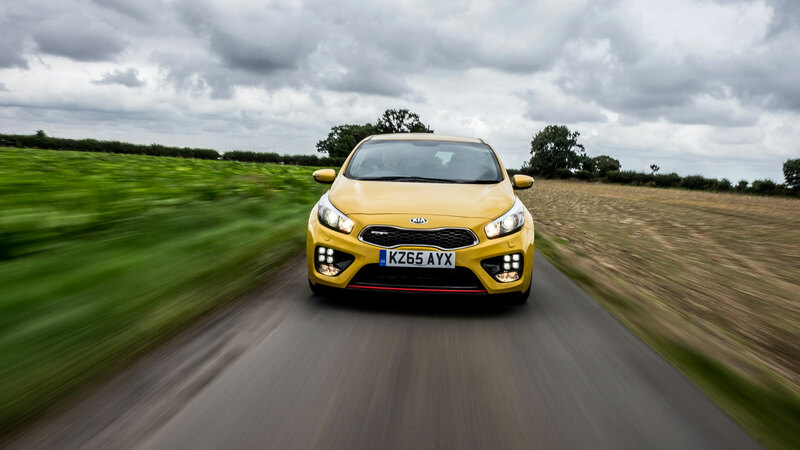 Given the brakes and a poor soundtrack were two things criticised in the earlier car, it’s good to see Kia has listened to feedback from its drivers. The Kia Proceed GT also features brake assist and hill-start assist control, which prevents you from rolling back on a hill. There’s only one Proceed GT on offer, so your choices are limited. 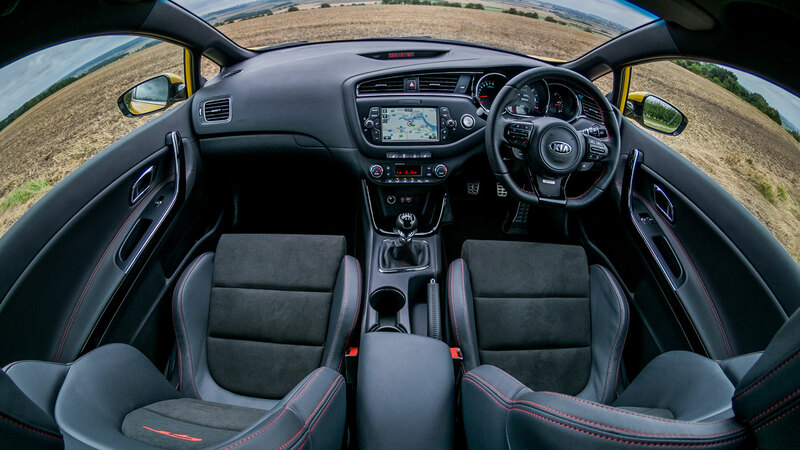 That said, it’s very well-equipped, including a heated D-shaped steering wheel (a first for Kia), keyless entry and start, DAB digital radio, seven-inch sat nav screen, xenon automatic adaptive lights, rain-sensing wipers, heated seats, reversing camera and dual-zone climate control. Your only decision is the choice of colour. Do you opt for Track Red, Fusion White, Phantom Black or the new Yellow Flame? 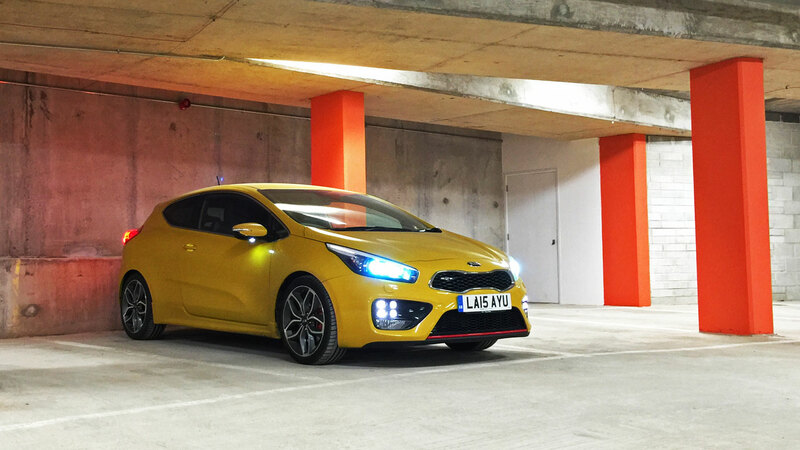 This colour divides opinion, but we reckon the Kia wears it very well. And it certainly stands out. The Proceed GT received more than its fair share of admiring glances, although the signature ice-cube LED lights certainly help. Don’t look at the Proceed GT as a rival to the Golf GTi or Focus ST, as you’re likely to be disappointed. But that’s not the end of the story, because by the end of the week we felt we could spend the next seven years with this Kia. It offers about 90% of the talent offered by the class leaders, with 100% of the reassurance offered by a seven-year warranty. Buy one today and it could see you through to the time when the pitter-patter of tiny feet demands something more practical. What’s more, we think the Kia Proceed GT is one of the best looking cars you can buy. We’d go as far as saying it’s the best looking hot hatch, full stop. At £23,105, considering all the standard kit and warranty, we reckon it’s a bit of steal. 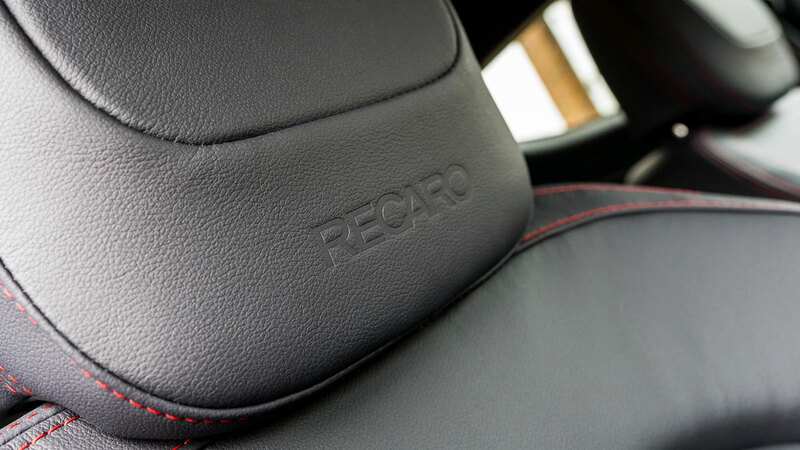 The Proceed GT is the first Kia to be fitted with Recaro front seats. And it’s not made in Korea. Instead, the Proceed GT is built in Slovakia and is sold only in Europe. Because Europe – and especially the Brits – love hot hatches. Give the Kia a chance and you could find yourself falling for its charms. Your head can rule your heart.